Black Lake Colorant is a safe, ultra-concentrated pond dye formulated to enhance the color of lakes, ponds, fountains and other water features. Black Lake Colorant creates a vibrant black, mirror-like surface allowing for breathtaking reflections in nearly any water feature. 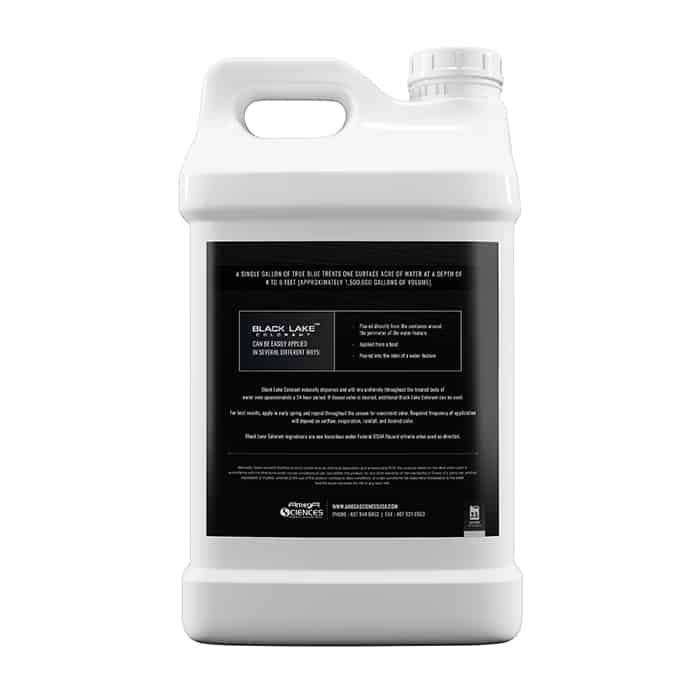 Black Lake Colorant is formulated to naturally disperse through self-contained bodies of water. 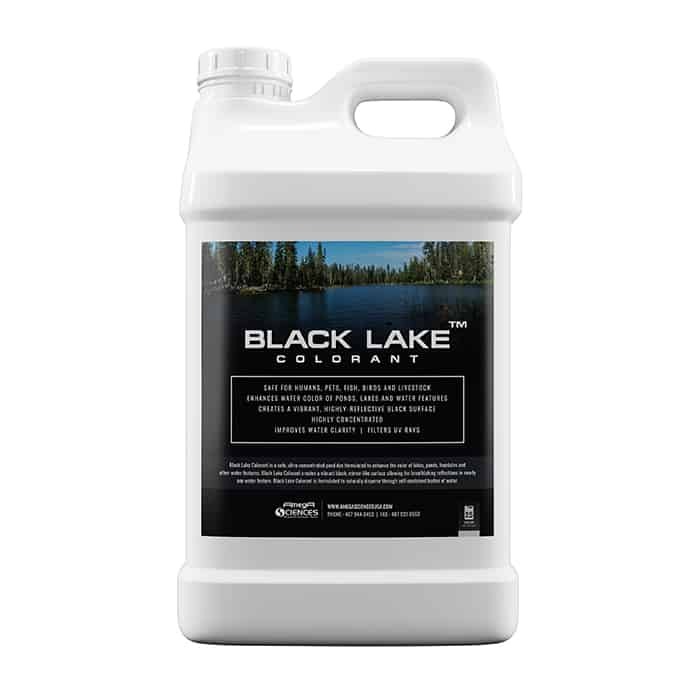 A single gallon of Black Lake Colorant treats one surface acre of water at a depth of 4 to 6 feet (approximately 1,500,000 gallons of volume). Black Lake Colorant naturally disperses and will mix uniformly throughout the treated body of water over approximately a 24 hour period. If deeper color is desired, additional Black Lake Colorant can be used.